Neil Tries the Charlie's Grind and Grill's New Burgers for 2016! 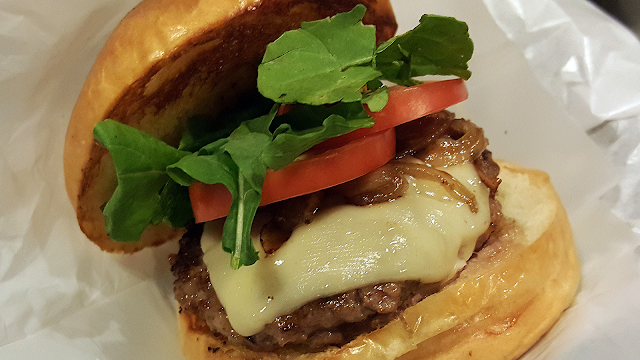 Charlie's Grind and Grill has become one of our go-to burger place. 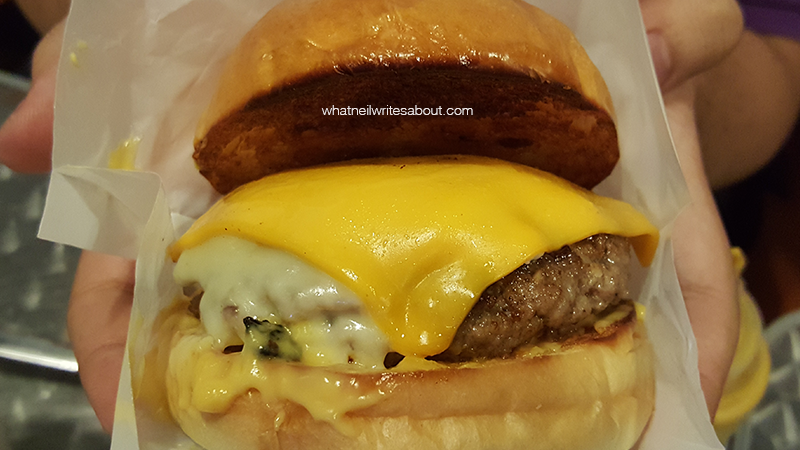 The price and the quality is just unbeatable, and when we heard they launched new variations of their Wagyu and Black Angus cheese burger, we just had to have it! If you have yet to read our review on this amazing burger joint. You can click here. All those cheese is melting with its gooey goodness! With your choice of beef of either Black Angus or Wagyu, the patty is filled with Mozzarella and topped with gouda, cheddar, blue cheese and cheese sauce that is sandwiched by a brioche bun! Each cheese was proportioned so that no cheese will over power the other but would melt and explode in your mouth along with juicy patty! A win for cheese lovers! That fried egg and mayo from the Sloppy Burger! Either a Black Angus or Wagyu beef patty with cheddar slices topped with fried egg, chili con carne, jalapenos, and sour cream. This is the perfect breakfast burger as it has that refreshing taste of eggs and meat that I get when I have bacon and eggs or any silog combination. I can't wait to wake up to this. 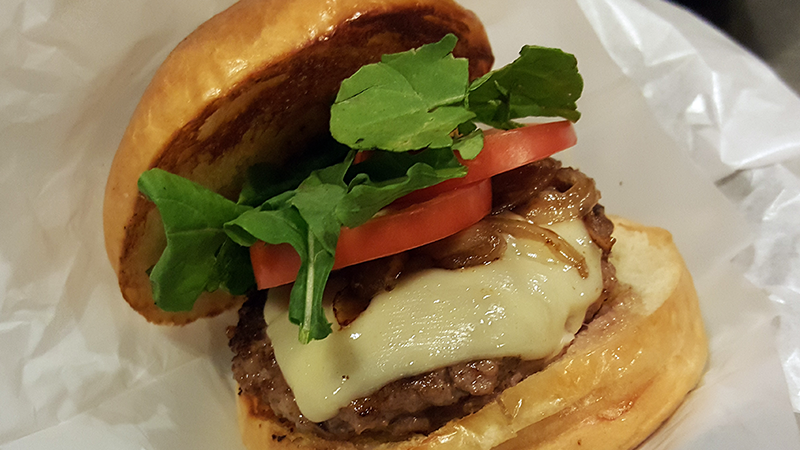 A Black Angus or Wagyu beef patty with scattered foie gras and topped with mayo, gouda cheese, caramelised onions, arugula and tomato on a brioche bun. The flavor of the duck liver is distinct while the mayo, the arugula, the tomato and the cheese temper the strong caramelised onions. With each bite, you want more and more until you run out. You are full but you want more. This burger is that good. I just wish it wasn't that pricey! The Foie Gras flavor was well cooked and was intense! Foie Gras lovers will love the twist and the gouda and arugula fighting for your tastes buds' attention! 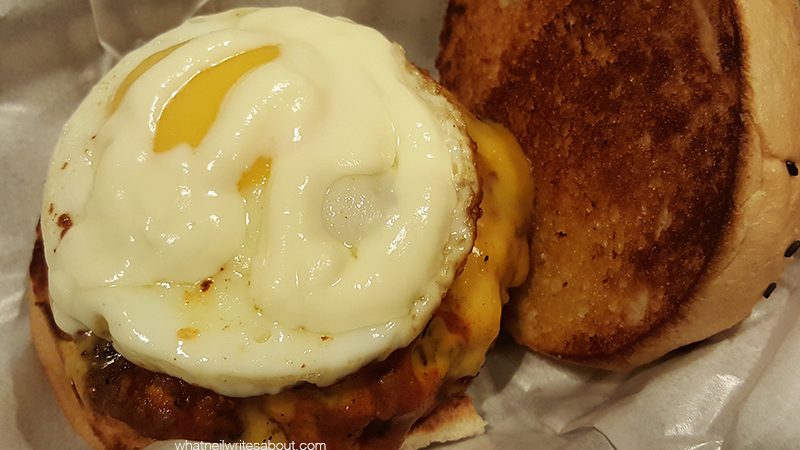 Sloppy burger is the best burger for those looking for the breakfast feel! The egg does wonders! The Five cheese burger takes the idea of multiple cheeses on pizza into a burger that devastates your mouth with five distinct cheese flavors! 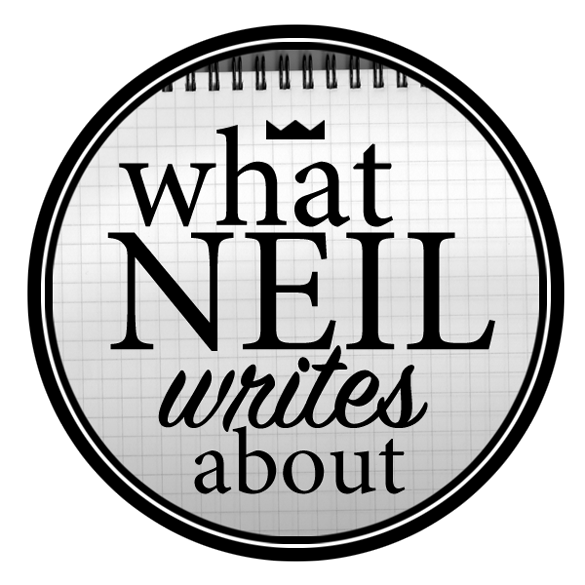 Neil Writes About RED Sandbar!